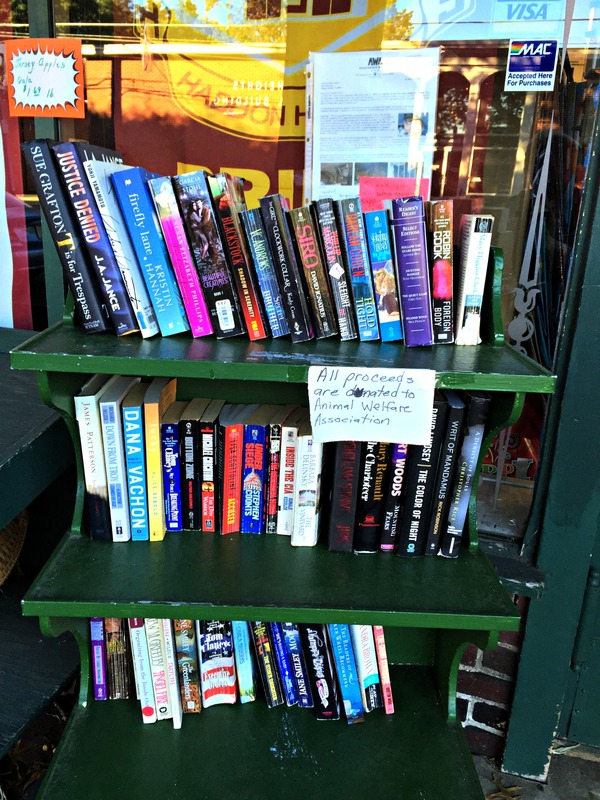 A HONORS BOOKCASE TO BENEFIT THE ANIMAL ASSOCIATION. 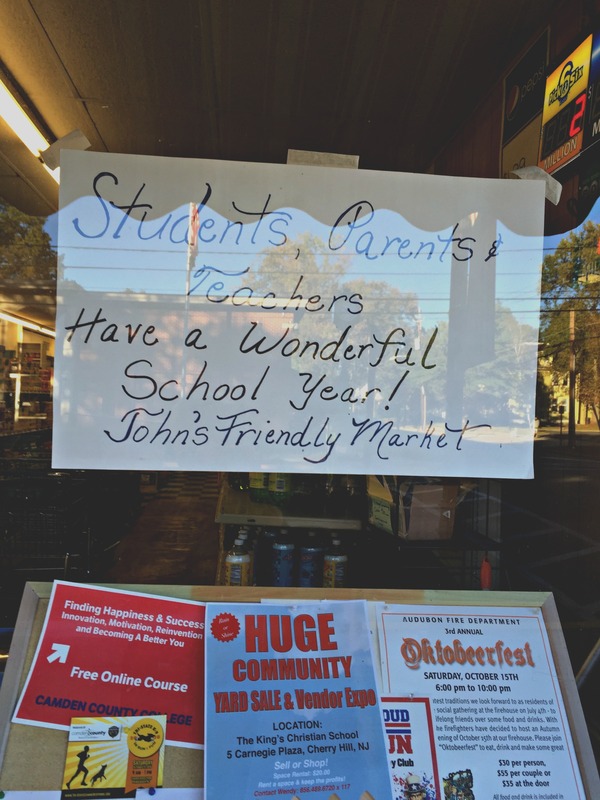 A SIGN IN THE WINDOW OF THE LOCAL GROCERY WISHING TEACHERS AND STUDENTS WELL. 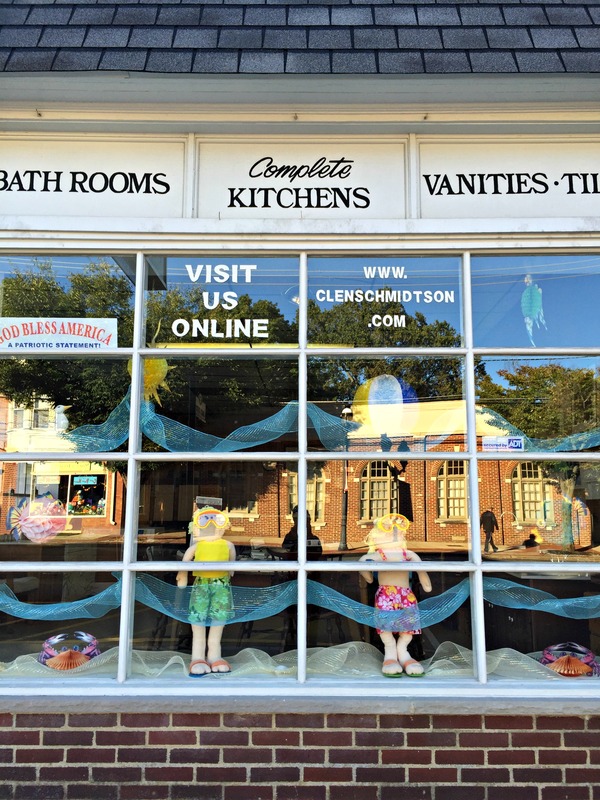 A PLUMBER WHO DECORATED HIS WINDOW JUST TO MAKE THE PASSER BYES SMILE. 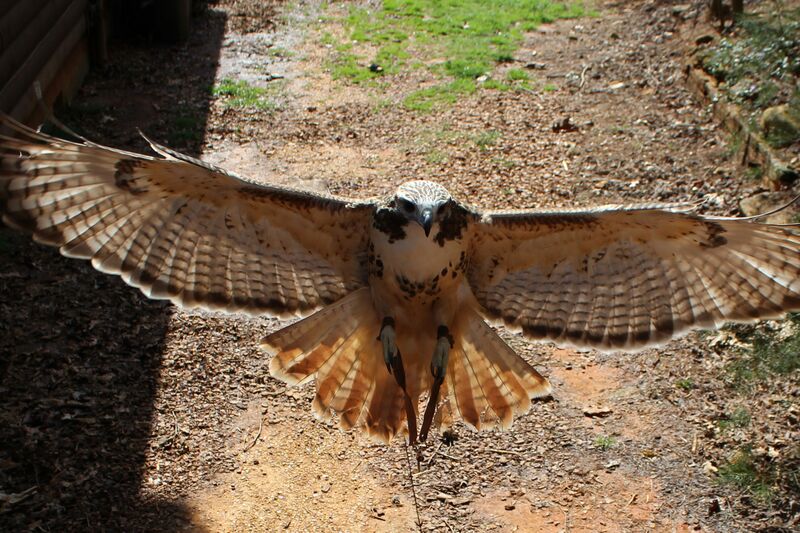 A RED TAILED HAWK WAITING TO GREET ME ON THE SIDEWALK. I give thanks for all these reminders that “There are more things in Heaven and Earth, Horatio, than are dreamt of in your philosophy (or rhetoric).” apologies to William Shakespeare. I hope that by writing these posts that we will move together beyond thankfulness into appreciation. Because appreciation for the moments and things for which we give thanks requires us to be mindful of our lives. “Tis a gift to be simple, tis a gift to be free.” Shaker Song by Joseph Brackett. beautiful column, Bernadette – thanks for the inspiration. Thanks Nancy. Looks like you had a fabulous vacation. Welcome home. Lovely post, Bernadette! 😀 What a welcome from the hawk, wonderful and the shop display had me smiling. Hold on to summer as long as possible. I know, most will watch the debate with a heavy heart, knowing in advance the negativity and vitriolic language…hard times indeed for your country and the repercussions could be felt worldwide. Thank you Bernadette. It is so nice to read of such positive outlooks on life. There are indeed LOTS of good people out there. There are countless reasons to be thankful, if we only pay attention. Thank you for your thoughtful comments and ALL your reading. I find it to be very stressful because I am surrounded by people who seem to want to argue and argue. Your thankfulness post is as beautiful, thought provoking, special, heartfelt as ever…. You have a heart of gold….